Previously know as Raft N Reel, 307 River Sports is a company founded by people with a love for the outdoors. We like to spend our time helping people just like you experience the same passion and enjoyment of the outdoors that has led to the success of our business. 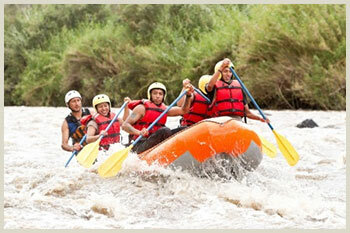 We are Dedicated to Serving you with the Highest Quality Service and Outdoor Recreation available. We are a Casper Wyoming Fly Fishing Guide Service and Platte River Rafting outfitter offering River Boat Rentals and an exclusive Private Wyoming Fishing Lodge with Private access. We regularly guide many sections of the North Platte River including the Grey Reef, Miracle Mile, Fremont Canyon, and sections in Saratoga. Don’t be intimidated if you haven’t ever been fly fishing in Wyoming before, our fishing guides are excellent teachers! Why come and Fly Fish with us on the North Platte River in Central Wyoming over other famed western Trout fisheries? Well simply put, we’re the Best at what we do and Casper Wyoming is home to the world renowned Grey Reef and Miracle Mile tail waters. Many say that our famed river has the Best Record Rainbow Trout and Wild Brown Trout Fishing in the Western U.S. In fact, the Grey Reef tail-water was named the most productive #1 Big Fish Destination in the U.S. by American Angler Magazine! Here on the Grey Reef you will be outnumbered by Fish and Wildlife, not other fishermen. Don’t take our word for it, come see for yourself what the Grey Reef fishing is like!